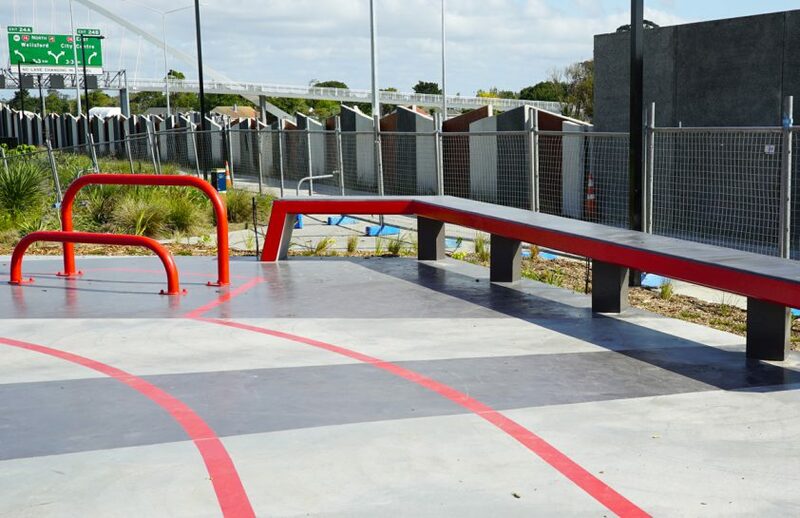 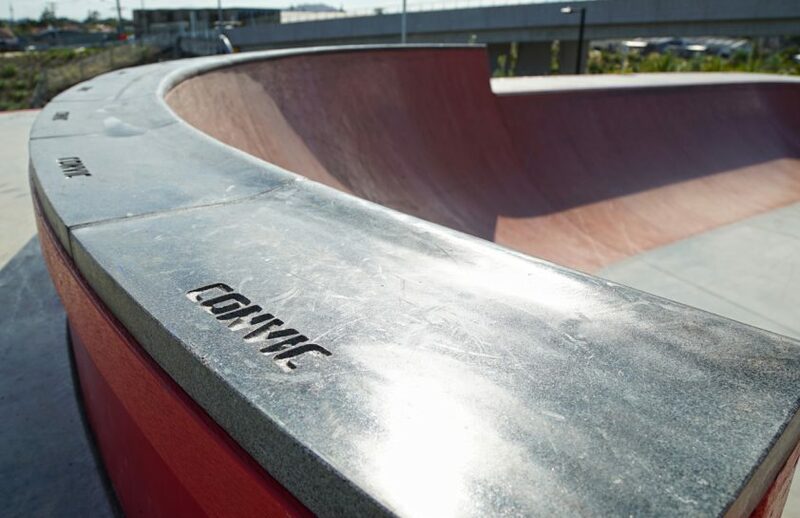 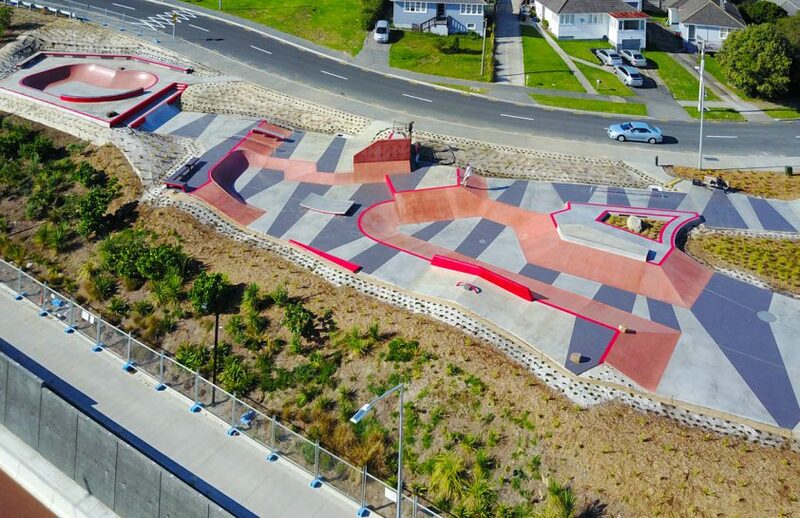 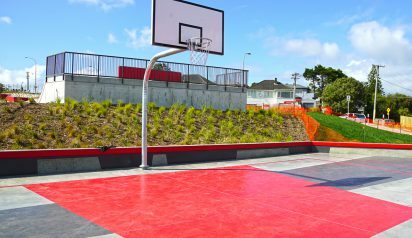 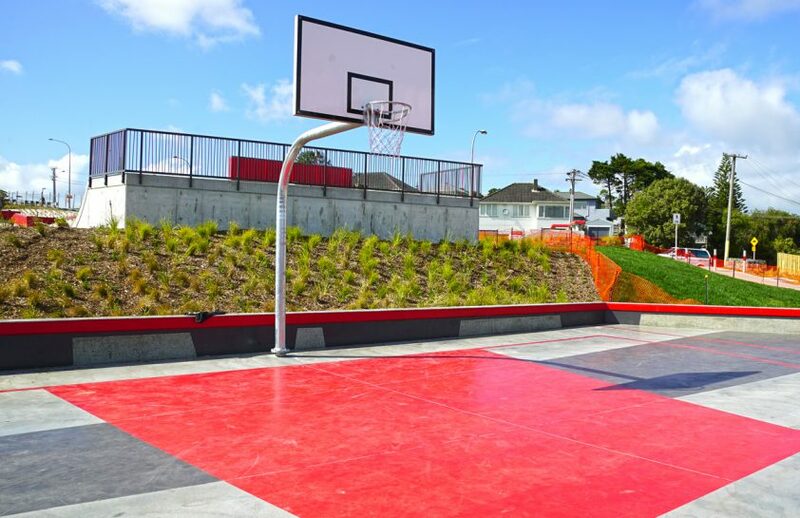 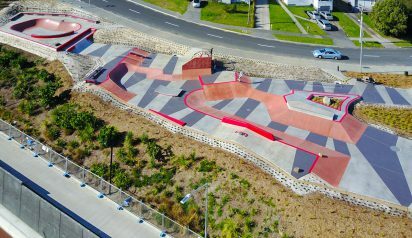 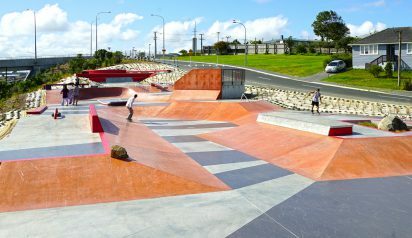 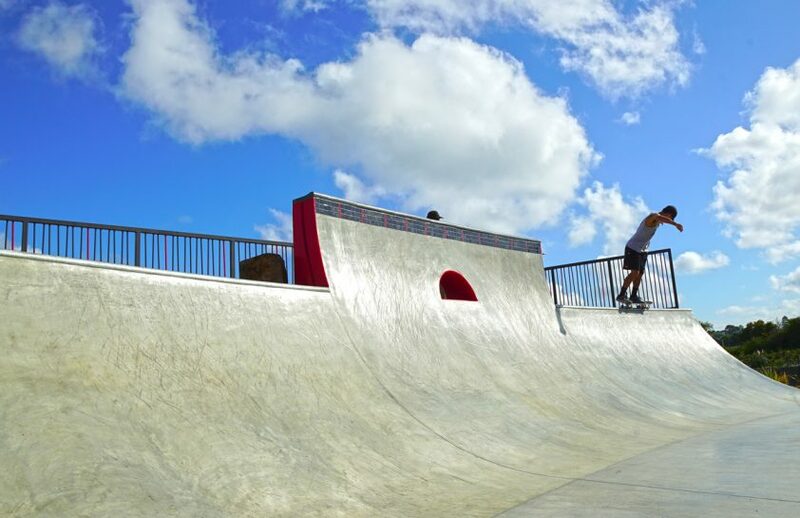 Taking inspiration from the geology and aesthetics of New Zealand’s volcanic fields, the Valonia Skate Park in Auckland is a visually unique and varied space catering to different styles of skating. 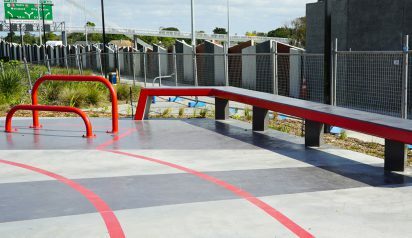 The park has been designed to allow for a higher capacity of users and is suitable for intermediate to advanced level skaters. 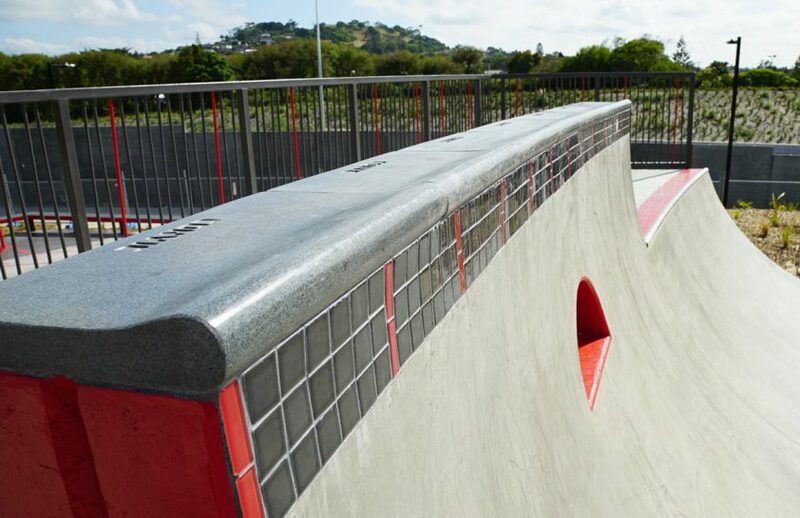 It starts at its highest point in a ‘crater’ before running through a series of lava-coloured terraces and skateable features such as bowls, banks, quarter pipes and rails. 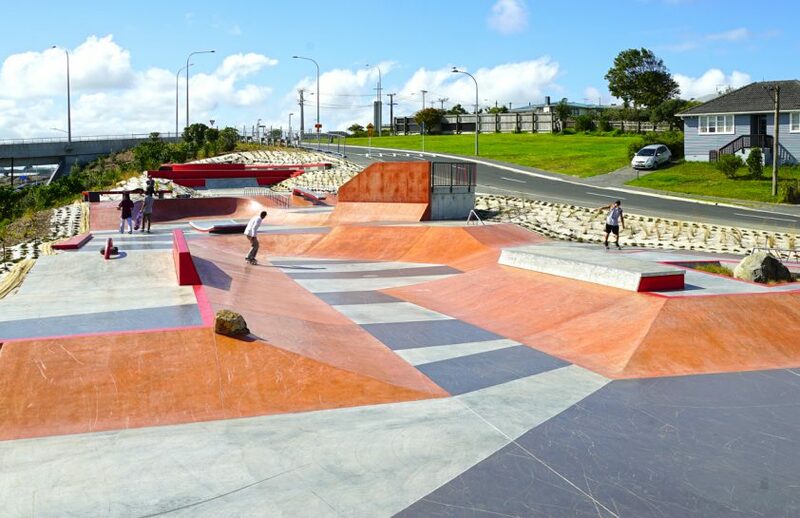 The Valonia Skate Park takes the ideas of ‘fracturing geology’ and incorporates a linear stained concrete layering pattern spilling over the skate space. 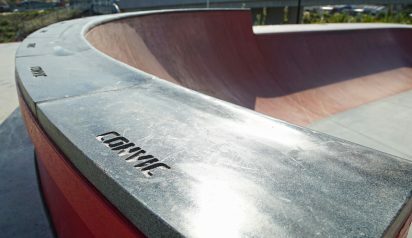 This layering reflects the different rates of cooling lava. 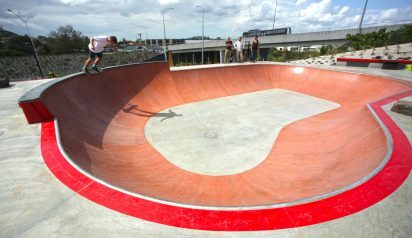 In the faster, flow-skate areas there are larger more spread out layers whereas the slower skate areas have more accumulated layers staked together. 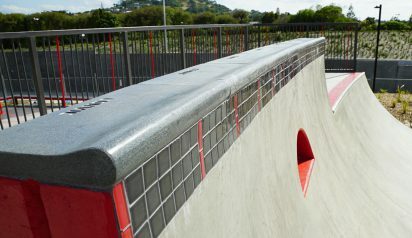 Bright reds contrast darker coloured concrete transitions to reflect lava against the darker charred rock areas. 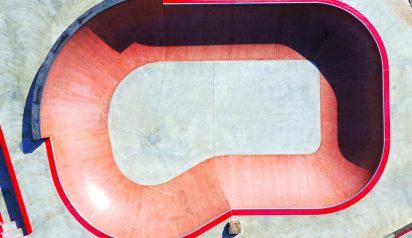 To see a video of the space from above, click here.